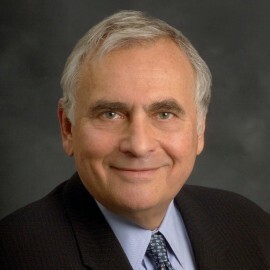 Neil G. Bluhm is one of the founders and President of JMB Realty Corporation, and a founder and Managing Principal in Walton Street Capital, LLC. He is a graduate of the University of Illinois, receiving a B.S. in Accounting, and is a CPA. He also graduated from Northwestern University Law School. Walton Street Capital invests in opportunistic real estate in partnerships with institutional investors, and sophisticated individuals. JMB Realty Corporation, along with its associated entities, is a holding company engaged in real estate investment and development. JMB owns luxury hotels, office buildings, mixed-use projects as well as land held for development. Neil, through Rush Street Gaming, is in the business of developing, and operating casinos in Des Plaines, Illinois, near O’Hare airport, Pittsburgh and Philadelphia, Pennsylvania, New York state and Niagara Falls, Canada. LAMB Partners, his family office, is also an investor in real estate development, hedge funds, and distressed securities. Neil is a Trustee at Northwestern University, a member of the Board of Directors of Northwestern Memorial Foundation of Northwestern Hospital, Co-Chairman of the Board of Trustees of the Whitney Museum of American Art and a member of the Board of Trustees and Chairman of the Investment Committee of The Art Institute of Chicago.